CLEVELAND (AP) — Fernando Rodney struck out Francicso Lindor with the tying run on second base in the ninth inning after Adalberto Mejia pitched one-hit ball over five innings, and the Minnesota Twins beat the Cleveland Indians 3-2 on Tuesday night. Lindor homered in the eighth but struck out looking on a 2-2 pitch as Rodney recorded his 325th career save — moving him into 17th place on the career list. Yan Gomes led off the ninth and was credited with a hit after Miguel Sano bobbled his groundball behind third base. Sano recovered, but Gomes beat the throw. Jason Kipnis struck out and pinch-hitter Melky Cabrera flied out. Gomes took second on Mitch Garver’s passed ball, but Rodney closed out his 25th save this season. A bloop single by Lindor in the first was the only hit off Mejia (2-0), making his fourth start and fifth appearance of the season. The left-hander retired the last 12 hitters he faced and was pulled after throwing 68 pitches with a strained left wrist. Gabriel Moya relieved Mejia to begin the sixth. 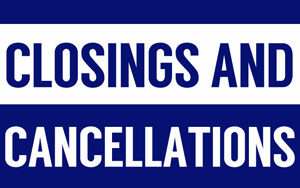 The injury was announced the following inning. Minnesota’s pitching rebounded from a 10-0 loss Monday. Cleveland managed only two hits through seven innings, but Lindor’s homer and pinch-hitter Leonys Martin’s sacrifice fly made it a one-run game. Garver’s homer in the second inning denied Carlos Carrasco (13-6) a chance to move into a tie for the AL lead in wins. The right-hander allowed three runs in 6 1/3 innings. Eddie Rosario was 4 for 5 and is batting .355 (21 for 59) in 14 games against Cleveland this season. Mejia dominated the Indians at Target Field last week, also pitching five scoreless innings and allowing one hit. He struggled against the first two hitters Tuesday before quickly settling in. Lindor’s popup fell in shallow right field. First baseman Joe Mauer raced out with his back to home plate and right fielder Max Kepler charged in, but the ball dropped between the two. Mejia hit Michael Brantley with a pitch, but retired the next three hitters. Jose Ramirez hit into a forceout that moved Lindor to third, but Encarnacion flied out to shallow right and Mejia caught Brandon Guyer’s soft liner to the mound. Mejia walked Yonder Alonso to lead off the second, but that was the last baserunner he allowed. Garver’s homer also ended stretch of 22 straight scoreless innings by Cleveland’s pitching against Minnesota. The start of the game was delayed by rain for 2 hours, 10 minutes. MASON CITY – The NIACC baseball team received the 2018 American Baseball Coaches Association Team Academic Excellence Award. Teams from every level of college and high school baseball were recognized with this year’s award, which highlights programs coached by ABCA members that posted a GPA over 3.0 on a 4.0 scalte for the entire 2017-18 academic year. 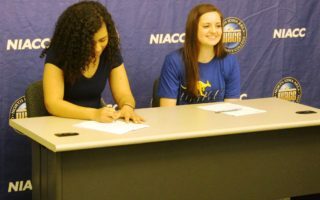 NIACC was one of 21 junior college teams to receive the award and the only one from NJCAA Region XI. A total of 294 college and high school teams were recognized. AMES — It has been several years since expectations were as high at Iowa State as they are heading into this football season. The Cyclones return 16 players with starting experience off a team that posted top five upsets of Oklahoma and TCU on its way to an 8-5 record and a win over Memphis in the Liberty Bowl. 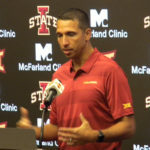 As he enters his third season at the helm coach Matt Campbell is dealing with the expectations. Not only is there more talent but Campbell says there is better leadership across the board and improvement this season begins with a running game that ranked ninth in the Big 12 in 2017. 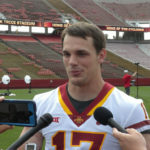 One of the top returnees is quarterback Kyle Kempt, who was granted an extra year after guiding ISU to five victories a year ago. A year ago at Media Day nobody asked Kyle Kempt for an interview. This year he was the most sought after player. The Cyclones open at home against South Dakota State on September first. 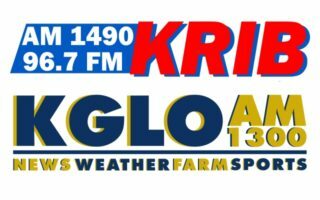 AMES — Most high school football and cross country teams started practices this week and coaches are being reminded to make sure their athletes are drinking plenty of water. James Lang, an Iowa State University assistant professor of kinesiology, says having a “hydration strategy” is critical to keeping kids safe. He says that strategy should include liquids 2 to 3 hours BEFORE practice. “That could be a 16-ounce glass of water and then, during a practice session, having a strategy to be drinking maybe every 15 to 20 minutes during the practice,” Lang says. In addition to plenty of water, Lang suggests coaches give athletes time to acclimate to the heat by scheduling practices in the early morning or evening and – for football players – limiting pad use in the first week. Lang says the warning signs of dehydration can be subtle, but generally include a dull headache, dizziness or nausea. “That can progress to vomiting, more severe headaches, and at that point you’re starting to get into heat exhaustion, but also borderline heat stroke,” Lang says. According to Lang, coaches should REQUIRE athletes to take water breaks, rather than simply making water available.